Cathedral of Life, lead by Senior Pastor Dana Gammill, is a contemporary, non-denominational, family oriented church and offers programs for all ages. We are reaching our area for the gospel of Jesus Christ. The body of Cathedral of Life is a diverse multicultural group of believers with the desire for the move of the Holy Spirit to be poured out. We welcome you to browse our website, check out the ministry areas that we offer and find out what Cathedral of Life is all about. If you’re looking for a church that has a heart for worship and an exciting and relevant Word for this generation then we invite you to visit one of our services. 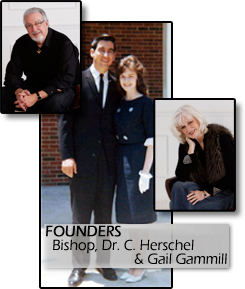 Cathedral of Life was established on October 25, 1981 by our Bishop, Dr. C. Herschel Gammill and his wife Gail Gammill. While Pastoring in Canton, Bishop Herschel had a dream to build, however lacked the means to do so. In response to Bishop Herschel’s burden, the Lord spoke to him saying, “I can’t fill ditches until you dig them”. Inspired by faith, Bishop Herschel, along with a small army of faithful believers accomplished the miraculous task of constructing this great house of worship. Since that time, Cathedral of Life has been a place where the Gospel of Jesus Christ is preached. Over the years, thousands have been saved and discipled through this ministry. 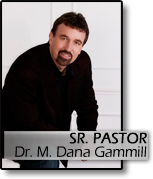 Today, Dr. C. Herschel Gammill’s son, Dr. M. Dana Gammill, is the Sr. Pastor. A seasoned third generation minister, Pastor Dana is a gifted leader who God is using to unfold the dream God started three decades prior. Cathedral of Life is reaching individuals in every stage of life, from the cradle to the coronation. 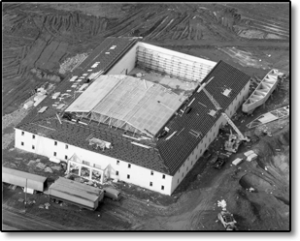 In 1980 while Cathedral of Life Ministries was being built, the Lord spoke to Bishop Herschel Gammill to reserve the parcel of land directly east of it for the care of the elderly, something that was already a passion of his. 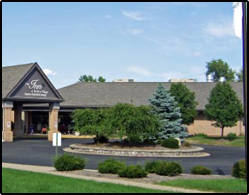 The Inn at Belden Village opened its doors in November 2000 and has been providing outstanding care and service in a beautiful, home-like community ever since. The reason we exist is to bring glory to God in the care we provide. It is our mission. Dr. Gammill has instilled in the hearts of all those hired that we are to treat everyone entrusted to us as though they were our own parents or grandparents.